Clarissa has been a client of mine since she was pregnant with Isabella, and it’s pretty safe to say I absolutely adore the two of them. From maternity to newborn to many milestones, I’ve photographed them many times! Getting to know Clarissa over the past couple of years and watch her grow into such a wonderful mother has been an honor and a privilege. Each client who chooses to work with me had a wide pool to consider - so when you choose to work with me and share some of the most special moments of your life with me… I don’t take it lightly at all. Because Clarissa and I have worked together so many times now, she didn’t need any help with styling herself and Isabella. She fell in love with the field location, and I suggested we hike up to the mountaintop afterwards. Her session took place in late August, so she knew it would be hot but it was definitely worth it! We met the evening of her session at the field. I absolutely loved the dresses she had chosen for them to wear and knew they would be absolutely gorgeous in the setting! Isabella is a friendly little girl but a little shy at first, so I took the opportunity to hang back with a longer focal length and have her interact with her mommy. Once she was used to my presence, I switched lenses to be closer up. Isn’t she absolutely darling?! I could talk for an hour about I approach sessions with young children, but I won’t. In a nutshell: I navigate through the session at the pace of your child. My sessions are very much about playing snuggling together, and NOT necessarily looking at the camera. Telling a toddler to look at the camera and smile very often backfires in one of two ways. (1) Painfully forced smiles or (2) Refusal to look and smile. Let’s take the pressure to perform off, and let everything unfold totally naturally. 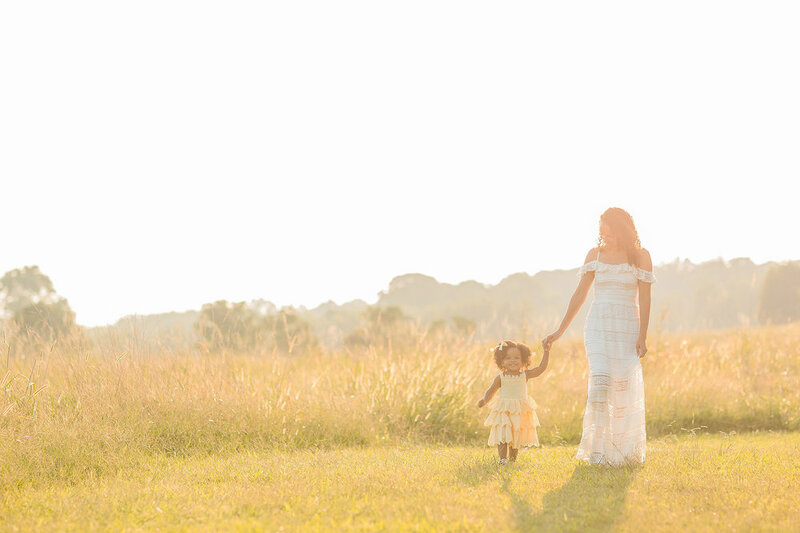 I can’t tell you how many times parents have seen their gallery and expressed amazement at the images because they thought their session was going horribly. You can’t see what I see… and it only takes 1/800th of a second to capture an image that make you catch your breath every time you look at it. Want to capture your family just as you are now before time completely slips away and you’re watching them walk down the aisle at their high school graduation? 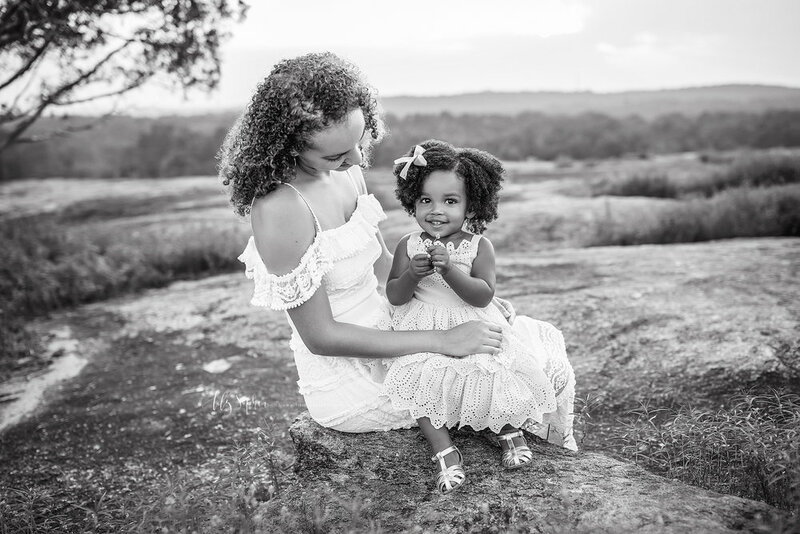 Contact us and we’ll chat about your session goals, your vision, and our approach to see if we’re the perfect match for your family photography!